Practicing since 1987, Susanne Cambre is a founding member of the Dwyer, Cambre & Suffern law firm. 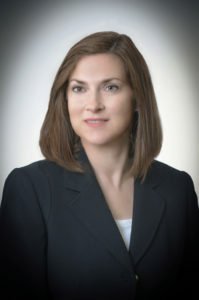 Her practice focuses on commercial transactions, commercial lending, real estate development construction and financing. Ms. Cambre is admitted to practice in Louisiana and Texas, is a licensed title insurance agent and certified real estate lecturer. She has a Martindale-Hubble AV peer rating, and is a member of the New Orleans’ Chapter of Commercial Real Estate Women.